For the past two millennia, religious views dominated the belief that spirits or demons possessed innocent people. This gave rise to gruesome exorcisms in contrast to objective, science-based treatments of what is now understood to be signs of mental illness. Still from The Exorcist (1973). A classic film that arguably achieved for mental illness what Spielberg’s Jaws did for sharks. Image: Warner Bros. In the Bible, an encounter between Jesus and a ‘madman’, labelled Legion on account of the many demons supposedly residing ‘inside’ him is noted. Paramount focus is on a miracle rendering Legion and Satan powerless against God, or by modern parlance, converting insanity to sanity, by effect of divine presence. If the exchange is accurate, it sounds suspiciously like dissociative identity disorder (once known as multiple personality disorder). The ‘possessed madman’ is deprived of a contemporary diagnosis for what are clearly dreadful symptoms of an advanced mental illness. Instead, a wonderful story is weaved around possessive demons imposing upon God’s kingdom; a subjective narrative sufficiently fertile for allegory, mysterious causal explanations to psychological behaviour and irrefutable religious lore. The plausibility for scriptural encounters with madness to be dubbed possessions is understandable; such ‘cultural assets’ of their time could quickly ascend to the status of undisputed religious myth. It is commendable if Jesus inspired a person of failing mental health to experience even momentary relief; a temporal ‘defogging’ granting an out-of-the-box perspective. After all, here was a new Master who walked amongst the sick as easily as the healthy; a truly inspiring moment with a unique rabbi who sought social unification during the religious and political volatility of his era. Was this not enough? Was added mystification of this encounter with the madman necessary to give credence to a non-existent Satan and his ‘legion’ of demons’? Without a divine intervention clause, Biblical lore would remain easily challenged. Thus, objective observation and treatment of psychiatric conditions were as far-fetched as the starry sky in a time when education and research were solely for the privileged few. For nearly two thousand years the concept of demonic possession has endured as a supernaturally-explicable event caused by an invisible, yet definitively, powerful Satan. The cure is rendered either by the Son of God or, failing his availability, a ‘qualified’ exorcist; preferably an ordained minister or equivalent. Historically, in this cruel scenario, patients were judged, victimised, brutally handled in the name of theatrics, ostracised and sometimes died without due medical attention. In some instances, they were tortured and killed and in almost all cases, they were fearfully regarded as an embodiment of evil. In the last century, since the development of modern psychiatry, the number of recorded exorcisms versus number of patients seeking (and receiving) medical treatment have evidently reversed in favour of the latter. 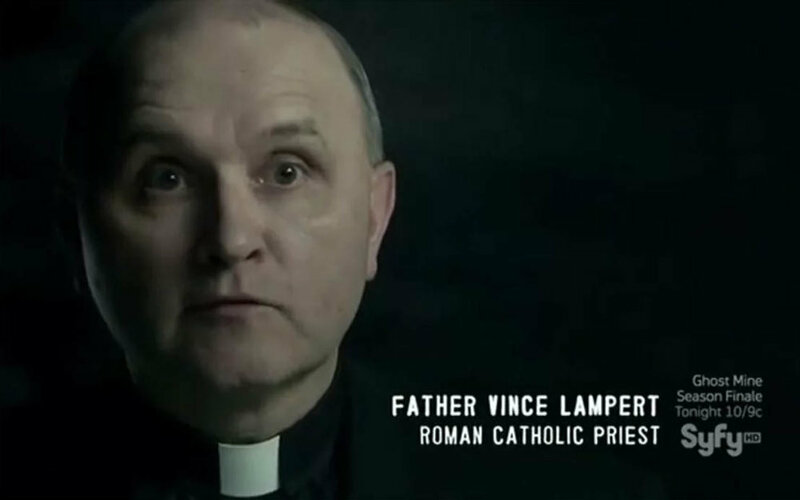 While Father Vince Lampert of the Archdiocese of Indianapolis is something of a minor celebrity amongst the paranormal and has performed 50 to 60 exorcisms in the past 10 years, not all clergymen can claim such high turnover. He continues to perform “one or two exorcisms a week for demonic attachment (as opposed to full possession).” (Source: The Telegraph). His team of clinical psychologists and psychiatrists must oddly be Catholic and believe in the existence of Satan. Unsurprisingly, this rules out any chance of objectivity during exorcisms. Furthermore, in keeping with the power of suggestion, a placebo effect occurs to maintain the illusion that exorcism works following heavy indoctrination and other environmental factors. Statistics according to the World Health Organisation in 2001 suggest “one in four people in the world will be affected by mental or neurological disorders at some point in their lives. Around 450 million people currently suffer from such conditions, placing mental disorders among the leading causes of ill-health and disability worldwide.” If these numbers are accepted, the implication is that dogmatic clergymen would have us believe that 25% of the human population is suffering from some form of demonic attachment or full possession. While the fantastic notion that millions of people are minions in Satan’s army may be ripe soil for Hollywood property, it is dangerous for those with a mental health concern seeking professional help or attempting to function holisticallyin society. It is especially disastrous if patients are convinced they are possessed, refrain from medical treatment and actively seek out exorcists. From left to right in the front row, Sigmund Freud, G. Stanley Hall, and Carl Jung on 10 September, 1909. Image: Library of Congress, Washington, D.C.
With Sigmund Freud and Carl Jung arguing for a rational and intellectual approach to understanding the psychological functioning of the human brain, a more scientific perspective has been adopted by the modern world. We are a space-treading civilisation now; attempting empathic and reasonable solutions that unify through scientific discovery as opposed to division by superstitious beliefs. The DSM-5 does not recognise demonic possession as a psychiatric or medical condition. However, symptoms are aligned with physical or mental illnesses, such as dissociative identity disorder, schizophrenia, psychosis, hysteria, mania, Tourette's syndrome or epilepsy. Exorcisms have been performed before the formation of Christianity. In Judaism, Titus Flavius Josephus (37-100 CE) documented exorcisms performed by administering poisonous root extracts or by making sacrifices. Mastering practical Kabbalah is essential for the Jewish rabbi in exorcism rituals. One the oldest of scriptural texts, the Atharva Veda in Hinduism, documents in poetic format the secrets of magic and alchemy; including formulas related to spirits and exorcism. Of the divinities, the chief deities responsible for tackling spirits are Shiva, Narasimha and Hanuman. In Buddhism, exorcism can take the form of a social event involving communal prayer and spring cleaning to drive out negativity on fixed days of the year. These actions, Tibetans believe, drive out misfortune and invite prosperity with a fresh start. Most exorcisms are religious in ideology and are reoccurring rituals from innumerable tribes to larger institutions across the world. It is also a source of income, publicity and self-importance for exorcists who, failing to produce long-term cures and solutions, may easily defer the problem to a devil no one has ever seen. In the Pentecostal Church of Bokiccenag in Togo, West Africa, a cruel form of exorcism is disguised as social service. Adults with mental health issues are chained to trees or posts as they await miracle cures through prayer and some are chained for over a year. (Source: National Geographic). Poverty is listed as one of the main contributors to mental health issues and is also a by-product of it. Inevitably, the poor lack access to education, medical care and equal rights making them prone to many forms of exploitation, including religious abuse. Beliefs in spirits and deities, born in eras when deification or symbolisation of everyday processes were humankind’s sole attempt at explaining the natural universe, are part of our mental evolution. There's nothing wrong with this - in fact, a healthy curiosity and expansive imagination fuel problem-solving skills. In turn, this aids adaptation to rapidly changing environments. However, when symbols, archetypes and mythical concepts take precedence over rationalisation through study, fact finding, documentation and statistics - fanaticism and dogma find root. Humility and open-mindedness are essential in accepting that some things which have been done for centuries, are not necessarily the right approach to continue in perpetuity. Superstition, plausibly emerging from some format of pattern-recognition, is deeply embedded in human psychology as a pre-historic, algorithmic relic from the time animals were evolving from even more ancient animals. It supports causal thinking that links ritualistic behaviour with random events that aren’t necessarily connected. Burrhus Frederic Skinner, in his famous experiments with selective birds, identified this as “superstition in the pigeon”. By placing hungry pigeons in individual cages and attaching an automatic mechanism that delivered food to the birds at regular intervals, independent of the bird's behaviour, Skinner noted that the pigeons connected the arrival of food with whatever random actions they were performing when it was delivered. As a result, they continued to perform these same actions, believing that it will cause food to appear. An example for a certain human ritual: ‘it rained after we danced so it must follow that if we dance again, it will rain once more’. It was probably going to rain anyway when you danced and it may rain again depending on weather conditions; the consequence your dance has on weather conditions has arisen from your own personal superstitious and heuristic belief. Thus, a random, natural occurrence is ritually and causally linked to human thought and action over time, with sustained cyclical and reinforced behaviour. Aptly, Skinner called this the principle of reinforcement. Any uncomfortable deviation is resolved by taking measures to reduce the magnitude of cognitive dissonance and the behaviour becomes justified by adding a new cognition i.e. ‘if it didn’t rain when we danced, the rain gods must be angry’. This leads to yet another causal question: ‘how do we pacify the gods?’ and as a result, a new set of pacifying rituals are created. This still occurs today in some drought-inflicted areas, where prayers and rites are strictly observed for the gift of rain. Reinforcing superstition and dangerously irrational notions may lead to a belief system that places over-dependence on luck, providence, magic and miracles in place of statistics, observation, process of elimination, reverse engineering, deconstructing myths, and, most importantly, common sense. This is what makes a faithful but ill-informed pilgrim wander into a snake-infested forest with misplaced confidence in a bag of lucky charms instead of recruiting an experienced guide, getting a walking staff or a carrying vile of anti-venom. 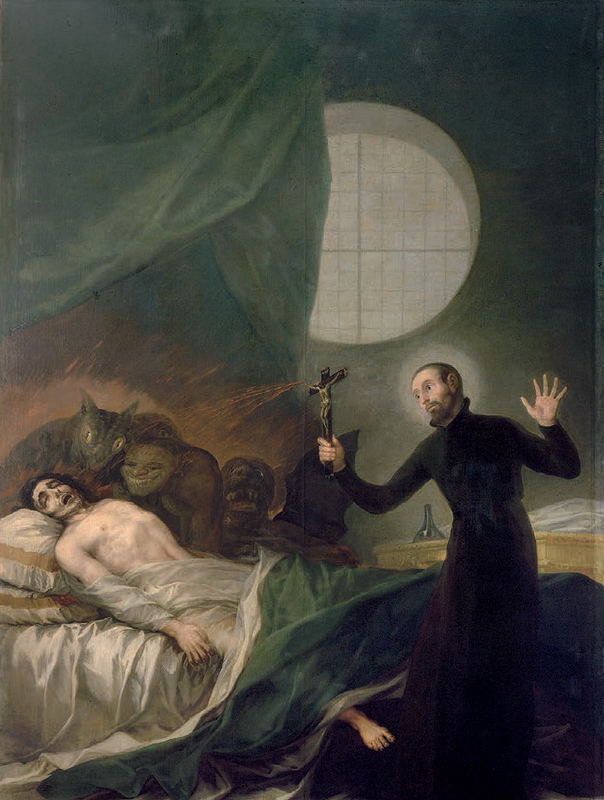 In 1614 the first official guidelines for exorcism were established and were only revised in 1999 by the Vatican when exorcism demand increased, possibly due to the approaching millennium, effects of pop-culture and renewed interest in the paranormal. Revival of the horror genre in 1996 with the first instalment of the Scream trilogy cascaded a whole new library of rehashed horror films while cashing in on excitement and uncertainty of a new millennium. Once again, causal interpretations of mental illness linked behavioural symptoms with fears and intense emotions, symbolised by demons and disembodied spirits through pop culture. For example, why bridge the tougher to analyse link between somnambulism (sleep-walking) and neurological conditions when a simpler, heuristic and much more fantastical idea that spirits are prodding unsuspecting somnambulists along in their sleep, is readily available? The fantasy already fits the story, like a smooth hand into a warm glove; spirits have no form, humans do. Spirits need humans to do their bidding and the perfect time is when unsuspecting humans leave their body for a snooze. Variations of this story are easily found everywhere from the internet to old books and movies. What is harder to come by is prudent research on brain disease, central nervous system, sleep deprivation and circadian rhythm, stress, trauma or even hidden emotions that cause somnambulists to carry out otherwise suppressed actions during sleep. One path requires finding fantastic references that easily fit the pop culture story we already love and is obviously the more exciting option; the other consists of boring fact-finding involving re-reading abstract medical material that only stereotyped professionals or academics are thought to mull over. Eventually, educational and cultural factors play a significant role when arriving at the conclusion of ‘who you gonna call?’ Today we feel safe knowing there is freedom of choice in calling a ghostbuster or clinical psychologist. Our ancestors weren’t so fortunate; they were martyrs for a medical cause that only found legitimacy in the last century. Prior to that people were still harmed in the name of Satan and women murdered for being ‘witches’, when the only demons facing the mentally ill were closed-minded and frightened humans.